Even though tuberculosis patients may be getting the latest drugs, they are still struggling with the stigma attached – from family, friends, and even health workers. Local tuberculosis patients are getting the latest drugs but they still have to struggle with discrimination from families and even health workers. “Our people need not feel bad about getting TB,” said Deputy President David Mabuza barely a week ago speaking at the launch of a TB prevention initiative in Durban. But these are hollow words for the many patients facing discrimination. “It felt like my entire family just dumped me in the hospital to die,” Nomasonto Lubisi from eMalahleni in Mpumalanga after being diagnosed with multi-drug resistant TB (MDR-TB). Shortly after her diagnosis in December 2017, Lubisi was admitted to a provincial hospital and placed on a treatment regimen consisting of a cocktail of potent drugs. One of these medicines was the first anti-TB drug developed in almost half a century called bedaquiline. This makes Lubisi one of just 28 700 people on the entire planet with access to the life-saving drug. More than two-thirds of these patients live in South Africa, which is one of the number of reasons the country has received widespread praise for its anti-TB policies. Last year, the South African government became the first to introduce bedaquiline as the first-line option for treatment of patients with resistant forms of TB, which, up until that point, had entailed two years of toxic treatment that causes permanent hearing loss in up to a third of patients. Bedaquiline is estimated to improve cure rates from 50 to around 80%. Ingrid Schoeman, a TB survivor and dietitian with the local organisation, TB Proof, said that it is not enough to introduce new drugs, as the stigma surrounding the disease prevents many of these patients from going to health facilities and testing for TB. “Imagine how lonely it must be to be sick and fear losing your friends, your job or relationships because you got sick with TB. TB stigma causes people to avoid seeking healthcare and, without treatment, you cannot be cured,” she said. Around 160 000 people with active TB in South Africa are not on treatment and are spreading the disease in their communities. And even if patients are lucky enough to have supportive families, discrimination from healthcare workers is also rife. 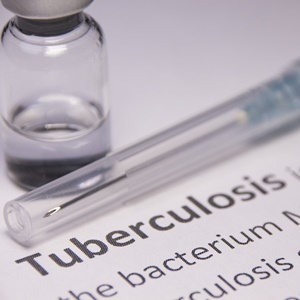 Twenty-four-year-old Siphiwe Buthelezi, also from Mpumalanga is currently being treated for MDR-TB but his treatment has been threatened on more than one occasion due to fear. “At times, if I couldn’t get my treatment when I was supposed to, I wouldn’t get it because I was afraid that the nurses will shout at me because that’s what happened before,” he said. Buthelezi has “struggled a lot to take my treatment because I do not have a strong support system on my side and then the problem caused by the poor attitudes from nurses to me as a patient”. Currently undergoing MDR-TB treatment, the miner told Health-e News he has witnessed “people not seeking professional help for TB because of the stigma and discrimination they experience in society”. Even though major strides are being made in research around TB, millions are still being infected by one of the world's leading killers. The much-anticipated final results of a TB treatment trial known as STREAM, has found that a nine- to 11-month treatment course is just as effective as the previous standard of 20 to 24 months of drugs in curing patients with multi-drug resistant TB. HIV-positive pregnant women with TB are encouraged to adhere to treatment because the disease can be successfully treated in pregnancy.